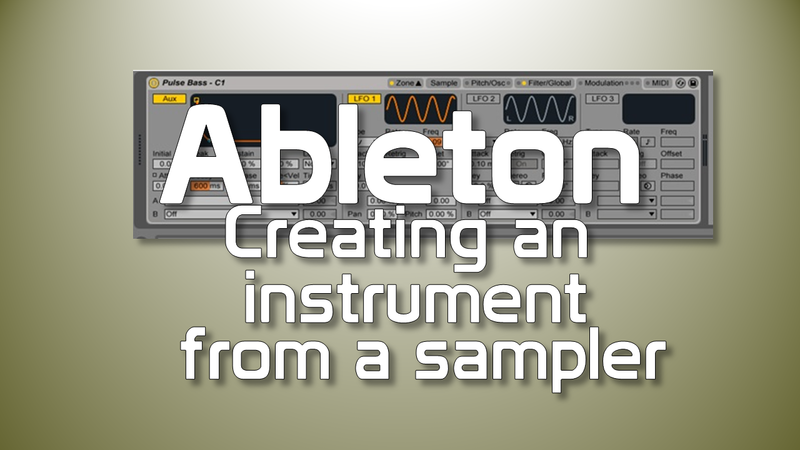 Today we are going to learn how to create an instrument using Ableton’s Sampler. 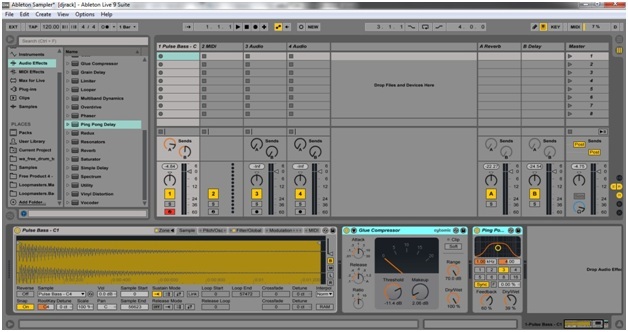 The Sampler is a fantastic tool in Ableton Live, capable of manipulating the audio file in detail so that we can create cool and outstanding sounds. 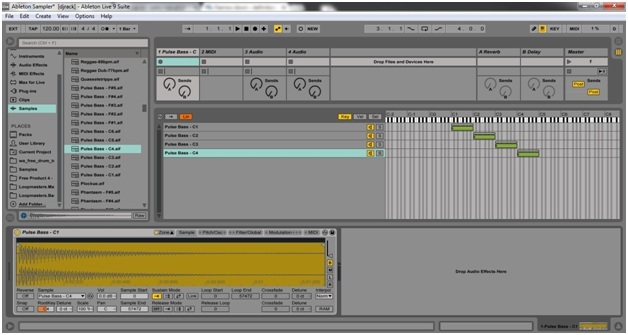 Even a single note can be a source of stunning results in Sampler. 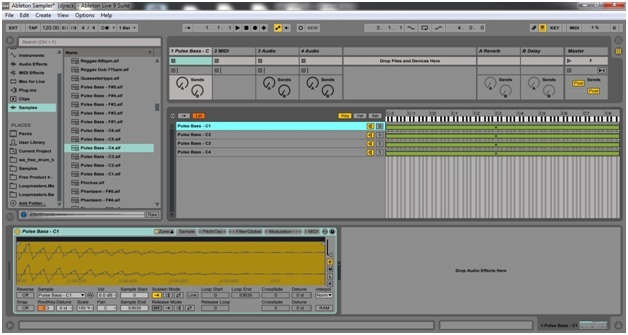 In this tutorial, we will learn how to load samples in Sampler to create a new instrument. Notice that the most sample’s file names have the sample’s pitch. It is extremely useful since we don’t need to spend time figuring it out. 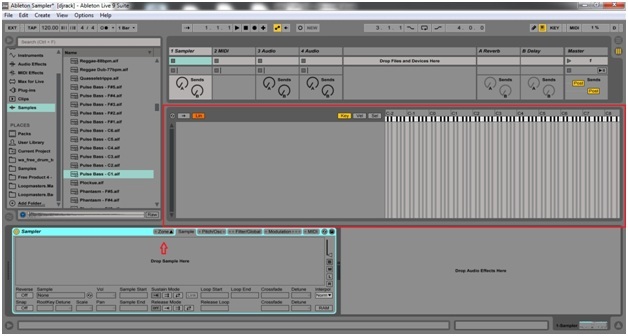 Sampler has six tabs with several sound editing options. 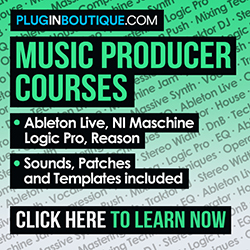 When you load a sample, Sampler displays by default the ‘Sample’ tab. 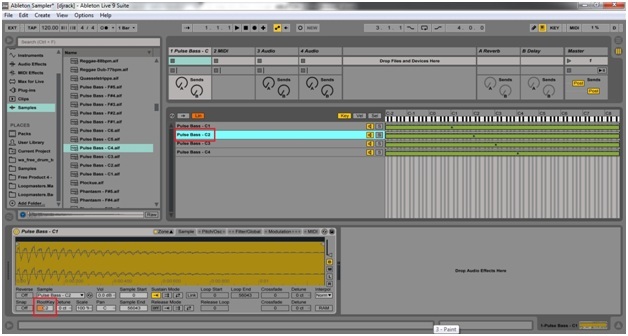 In this tab, we can set parameters like sample start and end, pan, reverse mode, loop option, crossfade, etc. Without this procedure, each sample would be transposed to C3 instead of being placed in their proper key. Now, the set of samples will play from C1 to C5, consecutively. It means that Pulse Bass C1 will be active from C1 to B1, Pulse Bass C2 will sound from C2 to B2 and so on. That’s it! 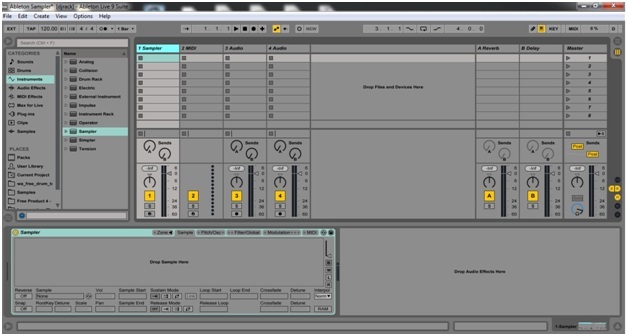 Live’s Sampler will make possible to create either simple or more complex instruments in a user-friendly interface.